Don't miss this beautiful move-in ready 3 bedroom 2 bathroom home! This desirable South Pointe home is very affordable with LOW HOA fees, NO CDD taxes, and NO flood insurance required! The community features TWO pools, a clubhouse, and a large park with a basketball court, playground, open field, and pavilion. You will love the STUNNING new LifeProof vinyl floors as soon as you walk in the front door. The floors were installed in 2018 and cover the foyer, living room, dining room, kitchen, and guest bathroom. The house has a very nice open concept layout, vaulted ceilings, and split bedroom floorplan. The ROOMY eat-in kitchen overlooks the living/dining room combo. The master bedroom features a LARGE bathroom with dual sinks, separate soaking tub and shower, walk-in closet, and a toilet room with door. 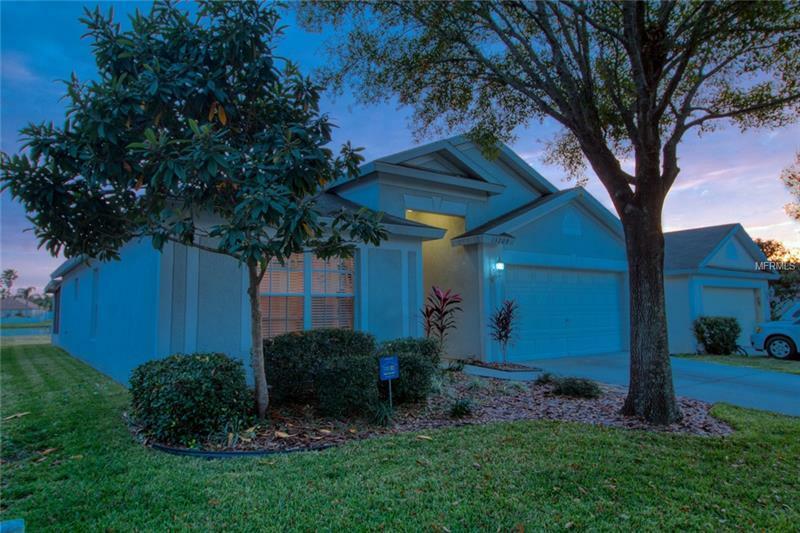 The exterior features St. Augustine grass, a rainbird sprinkler system, oak trees, and mature landscaping. Spend your evenings and weekends on the HUGE 280sqft screened-in porch overlooking a very peaceful pond. This home sits in the heart of Riverview and is close to shopping, restaurants, the hospital, and interstate. Come check it out before it's gone!